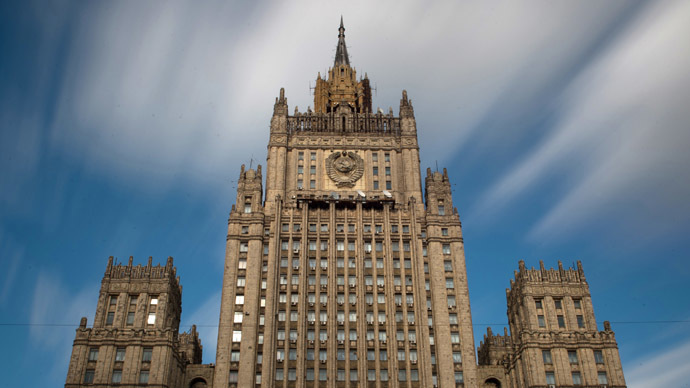 The Russian Foreign Ministry has said Ukrainian authorities refuse to hold peace talks or help the international investigation of the Malaysian airliner disaster, preferring to throw absurd and unfounded accusations against Russia. Russia is mourning the passengers of the Malaysian Boeing together with the whole world, Foreign Ministry spokesman Aleksandr Lukashevich said in an official statement released on Wednesday. These innocent people were killed in the war that is currently being waged in Ukraine and it is important that the Kiev authorities refuse to announce an armistice which has been repeatedly suggested by the federalist fighters. The Ukrainian military continue to use heavy weaponry on towns and villages, including those that are in the immediate vicinity of the Flight MH17 crash site, Lukashevich said. “Every day and every hour representatives of the Kiev regime consider it necessary to make absurd and completely unfounded accusations against Russia instead of helping the full and unbiased international probe into the reasons for the disaster. According to recent reports, instead of helping Ukraine’s security services are holding some covert interactions with data carriers and employees of the Ukrainian air traffic controllers,” Lukashevich said in the statement. All this is obviously against the objective and unbiased investigation, the Russian diplomat added. Lukashevich also said that this was not the first case of such behavior on the part of the Ukrainian authorities. “Where is the promised investigation of the Maidan shooting? 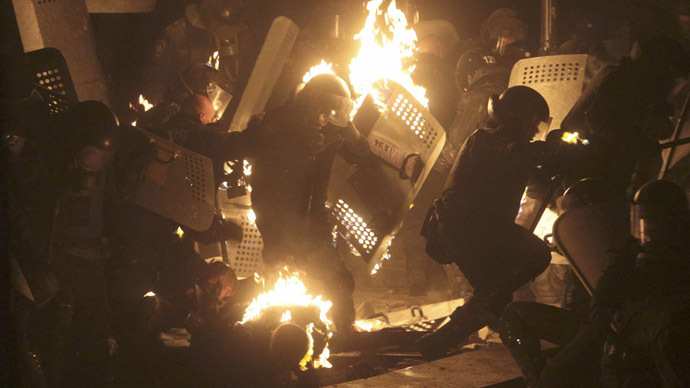 Who are the people that shot the police and the protesters from the building controlled by the Maidan committee? Their faces are well known, but I recall that many respectful news agencies and TV channels from Europe and the US have failed to provide the public with this information,” the spokesman stated. “Where is the probe into the terrible tragedy in Odessa where dozens of people were burnt alive, purposefully and in cold blood, and state officials participated in this? There people who jumped out of windows of the burning building were bludgeoned to death. I think that these things also were not shown to people in Europe and the USA,” Lukashevich said. The Russian official claimed the Western mass media had imposed “an information blackout” on many events that had happened, and that are still happening in the south-east of Ukraine. 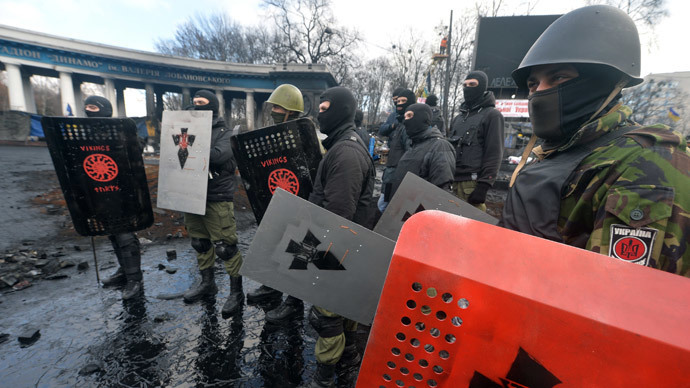 “Kiev authorities used weapons of mass destruction in villages, towns and densely populated cities in reply to the initially peaceful protest of the people who wanted to protect their rights. Missiles are exploding now in residential districts of Donetsk and Lugansk. Many hundreds of people have died. Those who consider this normal should stop using the stilted phrases about Human Rights,” the senior Russian diplomat stated. 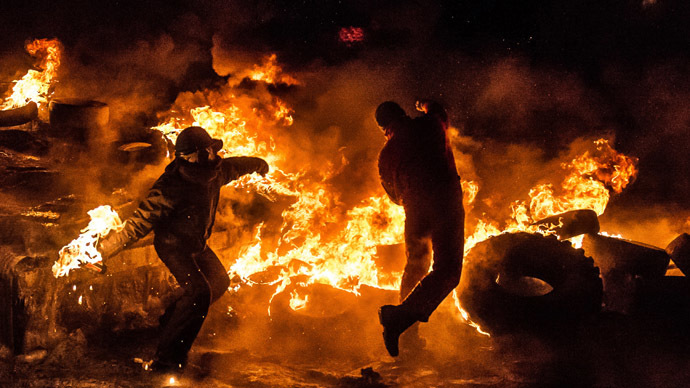 “What Kiev is doing now is immoral and inhumane,” Lukashevich concluded. 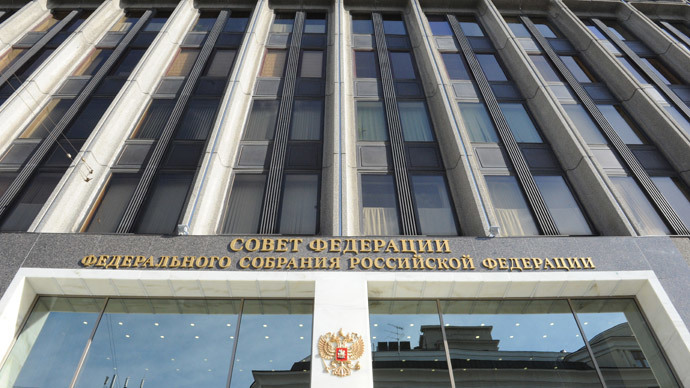 Russia’s Foreign Ministry is again calling on all sides for an immediate ceasefire as this is a necessary condition for saving civilian lives and for the full investigation of the airliner tragedy.